Ultiworld is pleased to announced our second annual Mixed Club Player of the Year award. While we consider both regular season and postseason performance, because of the nature of the club division, we weight success in the Series and at Nationals above all else. The All-Club teams and awards are selected based on input from Ultiworld reporters, contributors, and editors. Mark Burton returned to Seattle Mixtape this season after spending the previous two on Seattle Sockeye and was the final piece that transformed the Mixtape offense. Earlier in his career, Burton was mainly a downfield threat, but he transformed into a handler with a knack for finding open targets in the end zone. After leading the AUDL in total points, including 81 assists, he stepped into the main O-line handler spot for Mixtape and carried his AUDL performance into the Club season. With Mixtape emphasizing structure in their offense, Burton was at the center of it all, directing traffic and unlocking defenses with his throwing ability. Racking up seven goals and 23 assists in Sarasota, he also led the the team in touches in their semifinal and final victories over Boston Slow White and Philadelphia AMP. A 93% completion percentage on 58 throws against two of the toughest defenses in the mixed division is no small feat and highlighted his importance over the entire season. Game after game, the Mixtape offense looked to Burton whenever they needed a hold, and he would come through. With an uncanny ability to get free from even the most tenacious handler defenders, Burton was the safety valve when the offense stalled out. Seattle has always boasted a strong group of cutting talent, and picking up players like Abbie Abramovich and Paige Kercher meant that defenses could not focus on a single big addition — Burton took full advantage. His vision and patience was the edge Mixtape needed to make its offense unstoppable this year. In the semifinal against Slow White, Burton had a goal and six assists on the Mixtape offensive line, plus several clutch throws to escape tough sideline trap defenses. The Seattle O-line gave up just a single break in their victory over Boston. An underrated ability for a handler is awareness of where each player on the field is at any given time. Burton’s game sense and rock-solid throwing skill keeps downfield defenders reacting to every move from Mixtape’s cutters, wearing down a defense and making it that much easier to find openings. Burton uses this vision to direct traffic from any spot on the field. 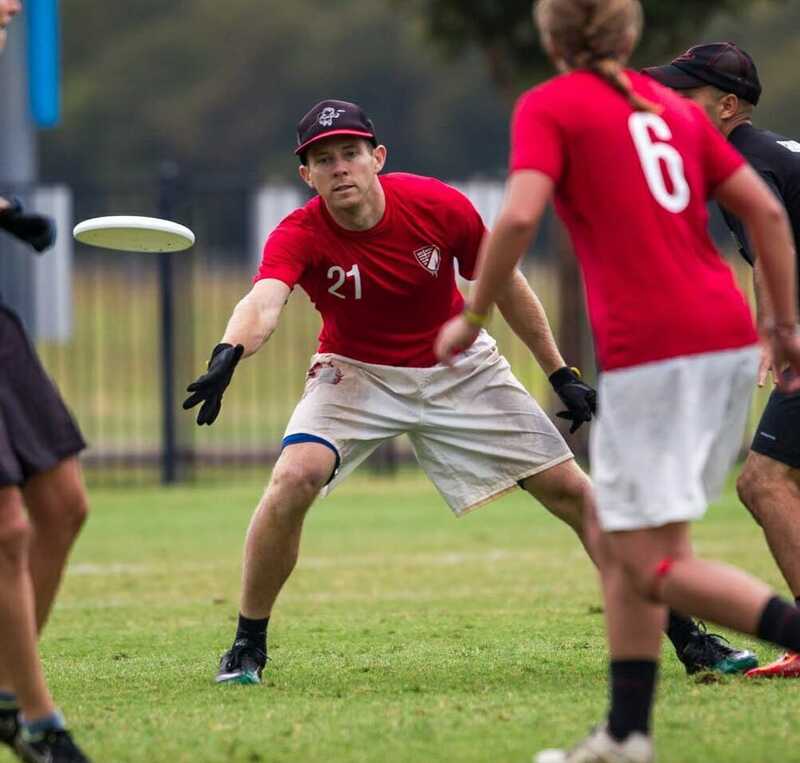 Equally comfortable in the stack or behind the disc, any given point will see Burton calling for cutters to change what they are doing downfield or adjusting the handler set on the fly to keep defenses honest. Burton’s familiarity with so many of the Mixtape personnel from previous years with the team made for a seamless transition from Men’s to Mixed. 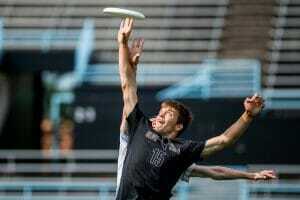 With nine of his teammates also playing for the Seattle Cascades in the AUDL, that part of the roster had a chance to gel as a unit well before the club season truly got underway. Burton and Brad Houser were always on the same page in Sarasota, regularly finding each other in narrow windows, but Burton never seemed to force any throws or take any ill-advised deep shots. Watch Burton on any given point: you will see a full range of handler abilities on display. Reliability is a vital trait for any handler at this level, and Burton always seems to take what the defense is giving him and deliver flat, catchable throws regardless of the conditions or the pressure from his opponents. When cutting out of the dump set, he shows off his lateral quickness, keeping his mark guessing with several quick jab steps and head fakes. All the while he reads his defender and his teammate, picking the right time to move before exploding into space for a reset. Finally, his history as a cutter shows in his timing and usage of space. Never seeming to crowd when cutting for a reset, he also knows how best to open up the underneath space for easy gains. 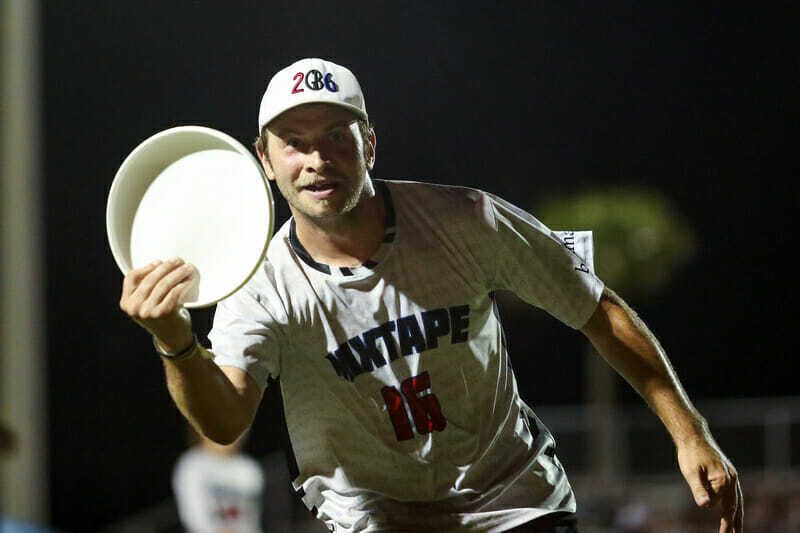 While Burton might be the obvious pick, there’s a reason for it: he was the engine behind one of the most effective offenses in the mixed division and capped off a standout regular season with Seattle Mixtape’s first National Championship. Hard to top that. 2017 has been a phenomenal year for Anna Thompson. Rumors of her talent caused ripples in 2016 and a USA U24 invitation raised a few eyebrows. Still, an unassuming season with UPenn and a short spell with Philadelphia Green kept her from the national spotlight. 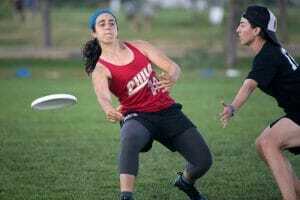 Despite this being her first year of elite mixed ultimate,1 Anna Thompson made a case not just as the best player on her team but perhaps as the best woman in the entire division. Standing out on a team with the depth of talent that Philadelphia AMP had this season is no easy feat. With no shortage of highlight reel plays around her, Thompson still managed to drop jaws in nearly every game she played this season. As a primary handler for AMP’s O-line, she was constantly breaking marks effortlessly or launching mammoth hucks. Her ability to get open in small spaces and make dazzling toe-the-line catches made Thompson a favorite red zone target for Philadelphia. And she’s no slouch on defense, either, coming over for D points when needed for her ability to disrupt throwing lanes or earn layout blocks. But perhaps the most unexpected role Thompson played this year was that of a calm, collected presence under pressure — quite surprising given that she is one of the youngest players to ever receive a POTY nod in any club division. ((Along with her fellow runner-up.)) She led AMP in points played in both their semifinal and final games and racked up five assists, two goals, and three blocks — including a massive layout block on double championship point. When Tannor Johnson arrived in the Mixed Division last year, he did so as a fully-formed all-around threat, despite having only just completed his freshman year in college. 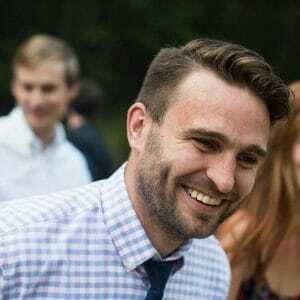 There was no bumpy transition period, no steep learning curve, and no friction trying to integrate with his already well-established team. He simply showed up and was a plug-and-play monster, dominating the division both with his tremendous athleticism and intelligent maturity. This year, he got even better. It’s staggering to think he’s still only 20 years old. At the start of the year, Boston deployed Johnson almost exclusively on the D-line to help plug holes left by a number of key departures from last season’s title-winning side. He hounded opponents’ top offensive threats with his physical presence and smartly helped his teammates in the deep space, gobbling up any throw inside his considerable range of influence. Then, he served as the focal point of the offense on the turn. On double game point against Mixtape at the Pro Elite Challenge, Johnson marked up on Khalif El-Salaam, stuffing him with a handblock at midfield before taking off deep to receive the game-winning bookends score. It was the kind of clutch, all-around impact that the UMass junior delivered for Boston all season long. As the summer wore on, Johnson crossed over more and more to help steady the ship for Slow White’s O-line. While the depth of talent in the mixed division continues to improve each year, Johnson may have been the only player in the country who was completely matchup-proof. Defenders essentially had to choose between forcing him under and accepting that he could control the pace of the offense by going every other or forcing him out and all but inviting Slow White to score in a one-throw possession by putting up a huck. By Nationals, Johnson was playing as many points as he could handle, going both ways and making a difference each time he stepped on the field. He racked up 15 goals, eight assists, and four blocks in Sarasota, spending as much time shutting down opposing cutters as he did dominating the deep space on offense. Even amidst a season of heavy turnover and transition for Slow White, Johnson’s efforts were enough to push Boston back to the semifinals and kept him in the thick of the POTY conversation from day one through the last day of the club season. Comments on "2017 Mixed Club Player of the Year, Presented By Universe Point"